Shacknews staff and Chatty users reminisce over three of Zelda's most beloved installments. The Legend of Zelda: A Link to the Past, Ocarina of Time, and Twilight Princess share more in common than a mute elven hero clad in forest-green attire and a demonic pig-monster bent on stealing polygonal shapes fashioned from gold. In November 1991, Nintendo published A Link to the Past for Super Famicom in Japan. 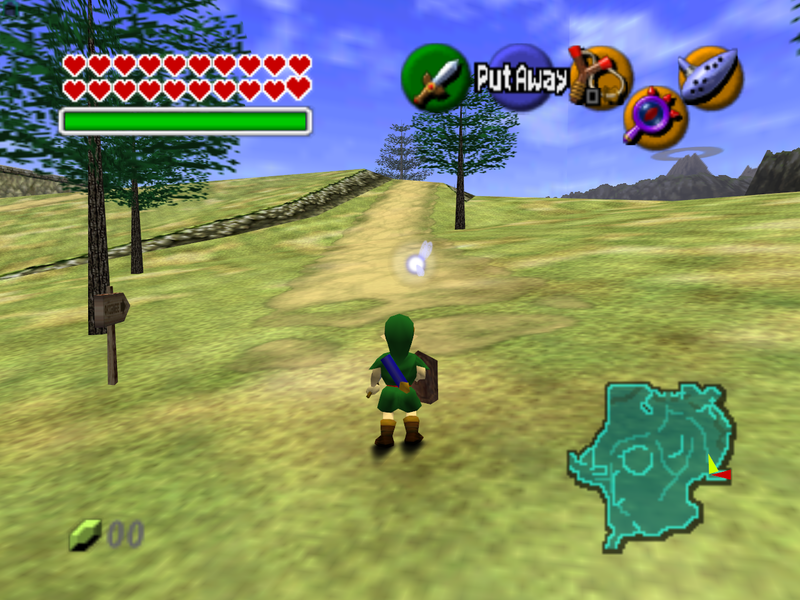 In November 1998, Ocarina of Time made its way onto Nintendo 64 following several delays. Ten years ago this month, Twilight Princess launched alongside the Wii. Each of those Zeldas reaped critical success, sold millions of copies, and welcomed whole families into the mutable fantasy world of Hyrule. "When A Link to the Past came out, it was a family affair for us," said Shacknews Chatty user mrazzino. "My bigger brother generally played, while I watched with my mom. We all worked together to solve puzzles. My mom would try and play, but she could never get the hang of using controllers, and would generally freak out during enemy encounters. She's since tried to play Ocarina of Time, Twilight Princess, and Wind Waker, but the 3D controls are usually way too much for her to handle. She still loves to watch and to chime in on how to solve puzzles. [Zelda] is pretty much the only video game series my mom has ever had interest in." "My mom bought me a SNES and LTP bundle from Target on her lunch break one day when I was home sick from school," chimed in Chatty user sludge vohaul. "Turning it on and seeing the Triforce dance into the middle of the screen, experiencing the cinematic opening was an experience I'll never forget." For Chatty user flagg209, playing A Link to the Past was bittersweet. "The original was such a touchstone game in my life, because it would turn out to be the last video game my father ever played with me: he 'grew out' of games shortly after. 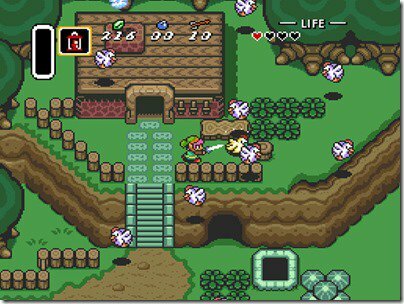 LttP made me feel very nostalgic for it and I was utterly blown away by it." Chatty regular granpachook latched on to A Link to the Past as a coping mechanism. "My parents were going through a really rough divorce. [Chatty user] Lefthighkick and I had just moved out with my dad into a new apartment and he decided to take us to Toys R Us and buy us a Super Nintendo. The bundle came with Mario All-Stars and we each got to pick a game. I picked Mario Kart, LHK picked Zelda: LTTP. Both games were f*cking phenomenal and made that transition a bit easier for us." Many Zelda fans claim A Link to the Past as their favorite Zelda title—some, like Chatty user iamgoat, go even further and proclaim it their favorite game, period—and for good reason. After Zelda II: The Adventure of Link deviated from the original game's top-down formula, A Link to the Past marked a return to form with the added benefit of frills like vibrant 16-bit graphics and two worlds to traverse. A Link to the Past introduced many of the franchise's core mechanics. Items like the Master Sword and hookshot, gameplay concepts like storing fairies in bottles to automatically revive Link when he falls in battle, searching out pieces of heart (rather than fully assembled containers) to permanently increase Link's maximum health, and exploring multiple settings became recurring elements and themes as the series continued. 1998's Ocarina of Time represented major landmarks for Nintendo, and for the industry at large. Not only was it the first 3D Zelda title, it—along with Super Mario 64—helped write the language of 3D game development by implementing features such as a lock-on system to help players more accurately engage actors in a 3D space; and context-sensitive actions for buttons, thereby reducing cluttered control schemes. "I think OoT was one of the first games that I played that fully utilized the 3D medium to be truly cinematic," remembered Chatty user mlev. "A few specific examples stand out incredibly clearly in my mind: "The horse chase scene where Zelda tosses the ocarina to Link, and Ganondorf talks to Link," as well as "The scene in the final battle where your sword gets knocked out of your hands. There are plenty others, but those are like shining beacons in my memory of games." Being the first 3D Zelda, Ocarina of Time also holds the dubious honor of hosting some of the trickiest dungeons in the series. The franchise's penchant for brainteasers was exacerbated in some instances by the design team's early experiments in 3D level design. Like many, Shacknews editor and Modojo editor-in-chief Brittany Vincent got stuck in the Water Temple, a multi-level dungeon where players had to raise and lower the water level to access certain rooms. "I remember I would eat a bowl of cotton candy ice cream and settle in every day that summer to play a little more of the game," she said. "I told myself I wouldn't use a walkthrough, but after days of wandering aimlessly and getting frustrated I printed one out. I finally found the key I was looking for and I got out of the Water Temple. It was embarrassing to have failed so hard at navigating it, but when I emerged and could continue the game it was just such an amazing feeling I was in a great mood for weeks to come. Now I associate cotton candy ice cream with doing well in Zelda." Chatty user VictoriouSecret shared Brittany's pain. "The Water Temple was the bane of my existence. To this day I think the only way I got through it the first time I played was pure dumb luck." While not as venerated as Link to the Past or Ocarina of Time, The Legend of Zelda: Twilight Princess is nevertheless a solid entry in the core series. Twilight Princess played it safe, sticking to Ocarina of Time's by-then-well-trodden template of exploring an overworld and solving temples in a prescribed order. Even so, its realistic visuals delighted some lapsed fans who felt Nintendo had failed to cater to their tastes as they grew older. "Twilight Princess thrilled me because it looked like a more serious Zelda game," said Chatty user RevRaven. "Zelda meets Lord of the Rings." 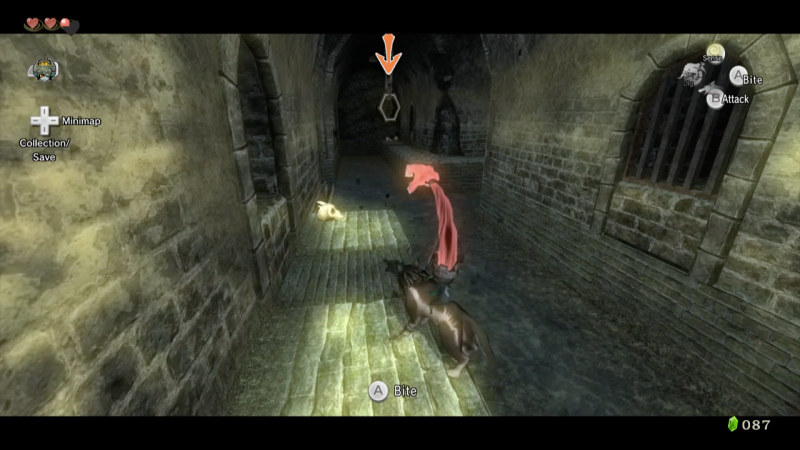 Motion controls, exclusive to the Wii version of the game, proved divisive. Being able to point and waggle the remote to shoot at targets using Link's bow was smooth and intuitive, but sword controls were not mapped one-to-one to the player's movements; the only way to swing was to waggle the remote haphazardly, a more interactive but also more cumbersome modality. Shaking the remote was good enough for Shacknews user flagg209. "I just remember how awesome it was to square off with a sword against the classic enemies. Being able to run and swing at the same time—which was removed in later games—felt so badass over powered." Twenty-five, 18, and 10 years removed its SNES, N64, and Wii incarnations, the Zelda series is primed to evolve again with the release of Breath of the Wild for Wii U and Switch next year. Crafting, cooking, and a return to open-world design dominate discussion of what else the next entry holds in store. 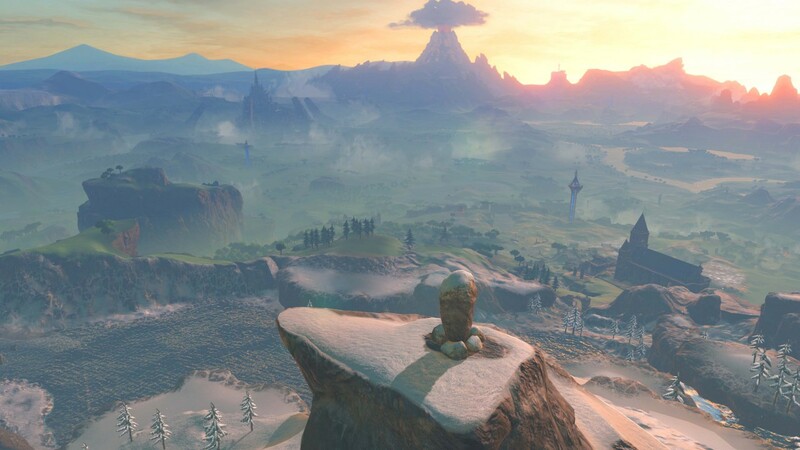 "To me, Zeldas are most of all about exploration," said Shacker pillzer, who lamented Twilight Princess's overly large and mostly empty overworld environment. "Finding places, secret entrances, plucking up dozens of random rocks to find a hidden cave, and acquiring items and abilities that give you access to even more. Thankfully it looks like Breath of the Wild is getting back to this."